My brother and I are building a FM tuner with a Phillips FM1216ME_MK3 tuner module and 6H30 tube output buffer. The finished design have a nice sound and seems a bit more wide and open in the sound perspective than my old Pioneer F-717 tuner. Note that you have to use a Sony compatible remotecontrol with the tuner. The tuner pcb with tuner module and 18F452 PIC. 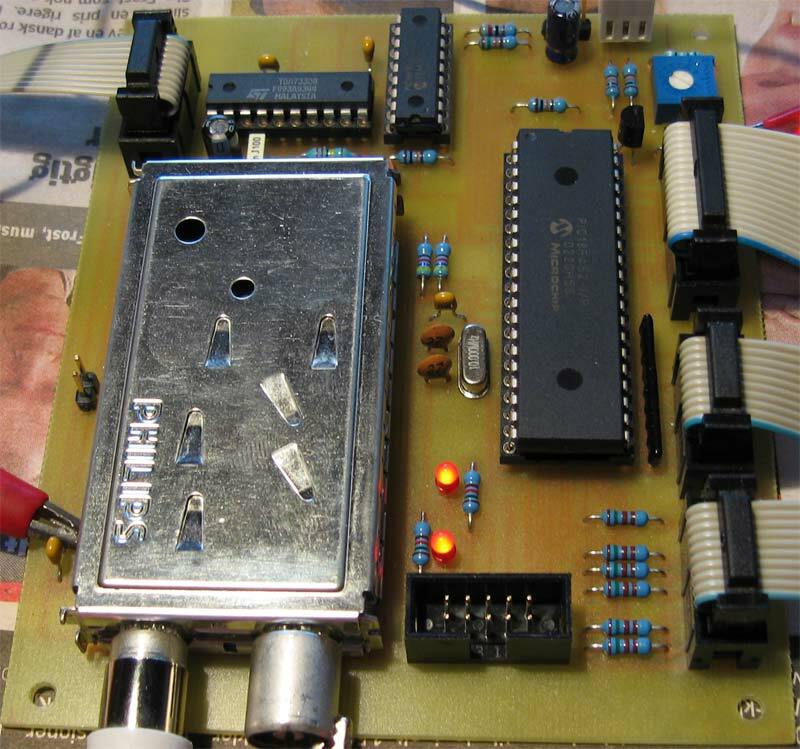 We have also placed a RDS decoder with a TDA7330B and a 16F84A PIC on the pcb interfacing the 18F452.